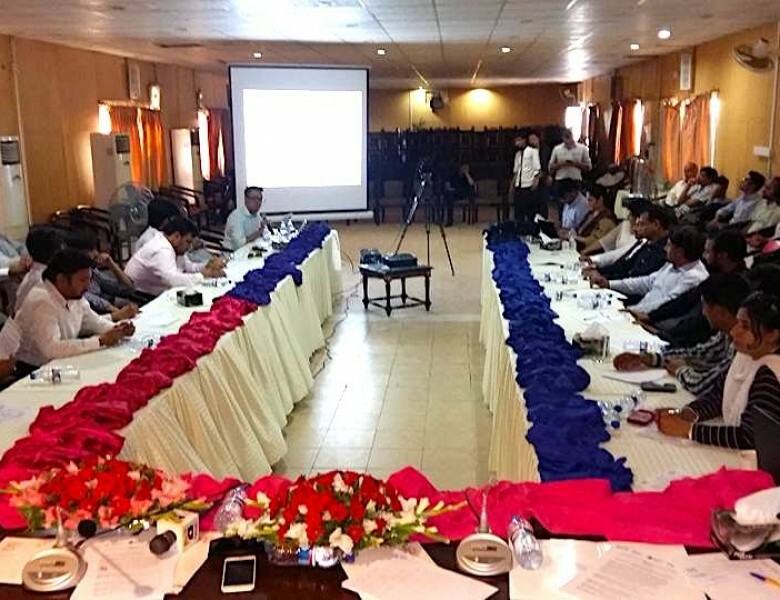 Islamabad, 1 June 2016: Media Matters for Democracy, Bytes for All, the Rawalpindi Islamabad Union of Journalists and National Press Club hosted a joint consultation with journalists, civil society leaders, and Senators, to highlight and discuss the implications of Prevention of Electronic Crimes Bill’s implications on journalists and journalism in Pakistan. 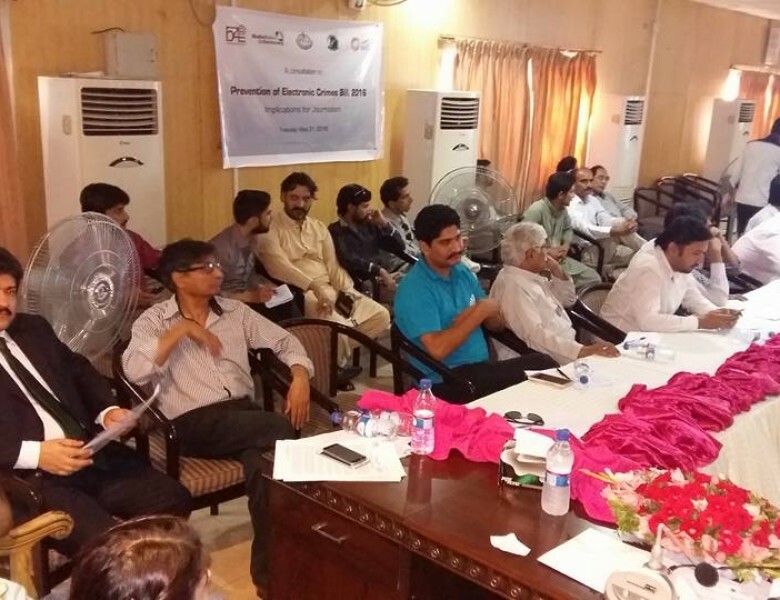 The advocacy event was aimed at educating journalists and media workers on the possible impact of said Bill on the practices used to gather data and information for journalistic purposes and to rally them to stand up against this repressive legislation. 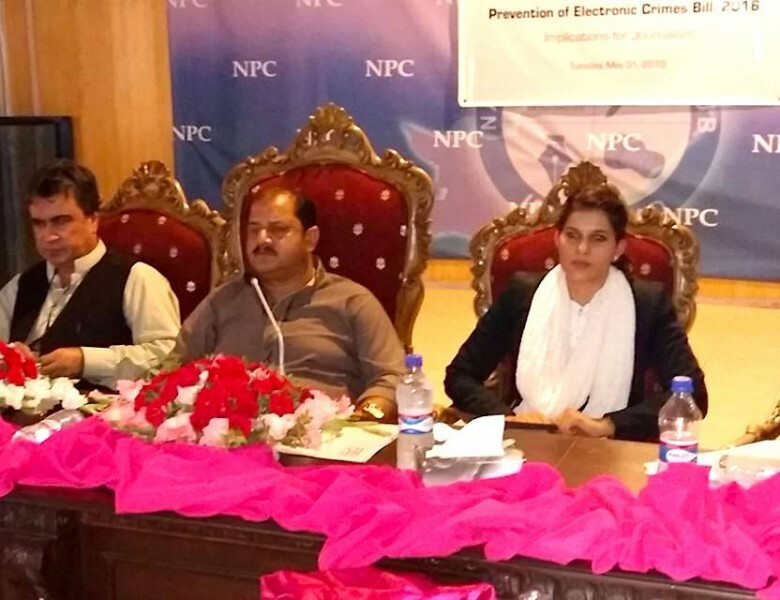 The event featured presentations from Advocate Aleena Alavi on the context of cyber crimes legislation world-over, Asad Baig, the Executive Director of MMfD, on the direct implications of PECB on journalists and Shahzad Ahmad the Country Director of Bytes for All on the importance of oversight mechanisms and privacy commissioner.